Spring is finally here, which means we’re all spending more time outdoors. Don’t let a small backyard hold you back from the patio design of your dreams! Concrete can help you achieve the look you want because it can be cast in almost any shape, pattern or color. Decide where you want your patio to be. Consider your backyard’s sun and shade patterns. Select a location that will suit your needs, whether you prefer sunbathing or relaxing in the shade. Incorporate curved design. One of the latest trends in patio design is to include curves that blend in with landscaping. The effect is easy to achieve with concrete. Mimic the look of natural materials. Love the look of paving stones or wood? Concrete can be cast to mimic most materials using stamped patterns or stencils. Frame your patio with a border. Framing a small concrete patio with a border in a different color is an inexpensive way to dress up simple materials and creates a neat, clean look. Leave space for outdoor furniture. Experts typically recommend at least 20 to 25 square feet to make room for furniture and leave space for walking. Hire pros who know their stuff. A concrete construction professional will know how to make the most of a small backyard. 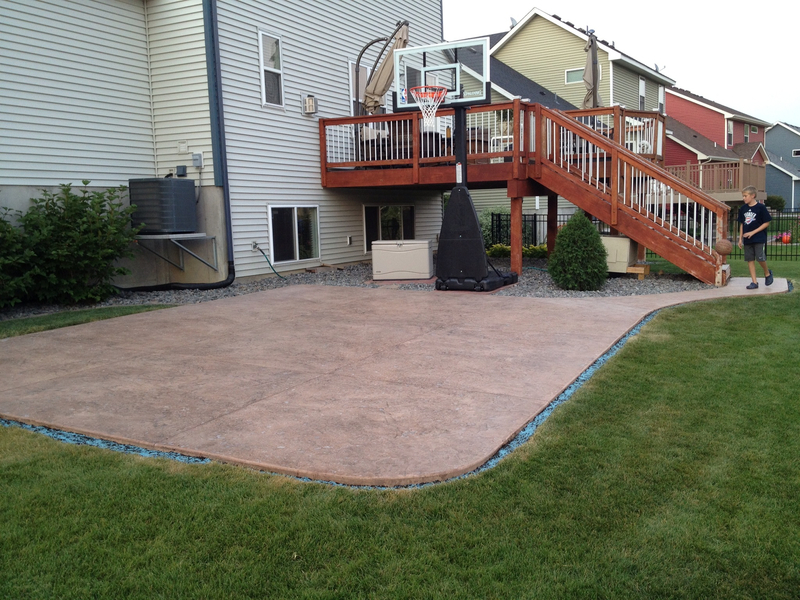 If you’re in east central Minnesota, contact Templin Concrete Construction at 612-388-1945 to plan the perfect concrete patio for you and your space. Adding a little spice to your backyard for the summer will make it look a little more inviting. If you’re someone who wants to enjoy stepping outside on your back patio or have company over to do the same, a concrete patio is the best choice you can make. Stay tuned for news, articles and other great info from Templin!